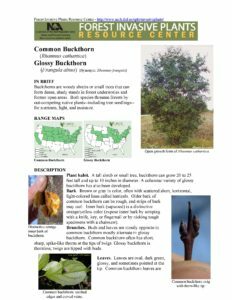 What exactly is buckthorn and why should I get rid of it?? Ok guys, you’ve probably seen buckthorn 100 times and didn’t even notice. You probably didn’t know it was a bad thing either…I didn’t. But it is, so I’m going to tell you why, and how to take care of it. You know, because we all needed another project, right? 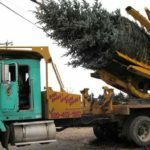 Just remember that it will be good for your trees and local environment! Buckthorn under tree. WI DNR. 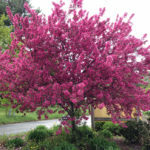 It’s a tall shrub or small tree (can grow up to 20-25’ tall), often with several stems arising from the base, and spreading crown. Gray to brown bark with prominent light-colored pores in the bark. 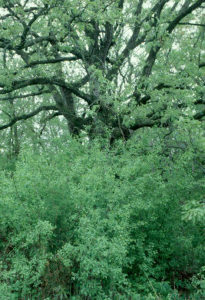 The twigs often end in stout thorns, and when you cut the bark it exposes yellow sapwood and orange heartwood. 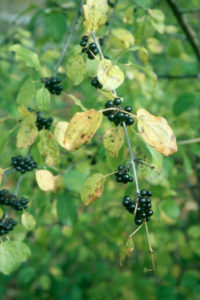 Common buckthorn (Rhamnus cathartica) was first brought to the Midwest from Europe in the mid-1800s as a very popular hedging material. 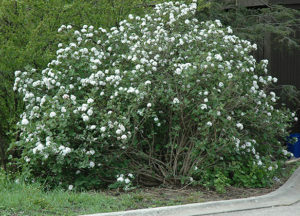 Shortly after its introduction here, it was found to be quite invasive in natural areas. 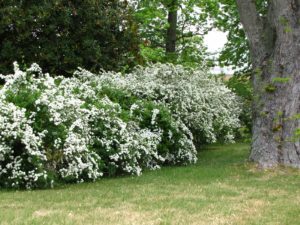 The nursery industry stopped selling it in the 1930s, but many buckthorn hedges may still be found in older neighborhoods. 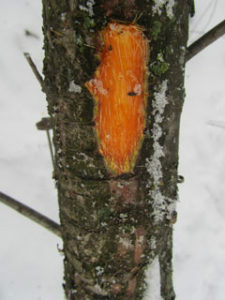 Buckthorn inner bark. WI DNR. Has a broad environmental tolerance. 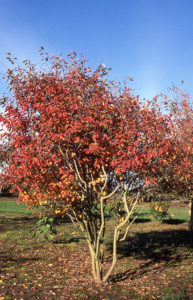 It leafs out very early and retains its leaves late into the growing season, giving them a longer growing season than native plants. 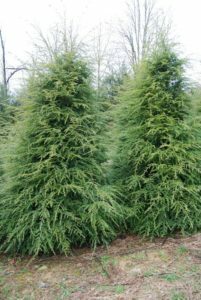 Creates dense shade, eliminating regeneration of tree seedlings and understory species. Allelopathic; produces chemical compounds that inhibit the growth of other vegetation. So if it’s in your yard, over time it will literally take over everything! 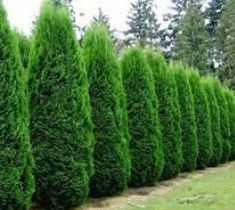 It will keep light off the small plants so they can’t grow, and will choke out your big beautiful trees. 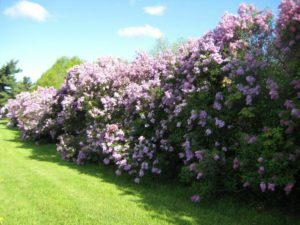 It will kill your pretty native flowers that are trying to grow beneath it, and doesn’t make a very good home for the animals. Ugh! Just what you needed, right?? Cut and remove and grind the stumps so you can turn it into a lawn area. Mowing it often prevents new seedlings from popping up. 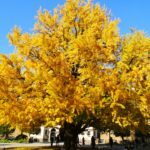 Hire a company to come take care of it for you. 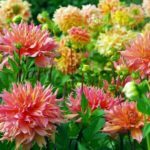 Remember to follow up with all of these methods, since seeds on and in the ground can be viable for up to 5 years. 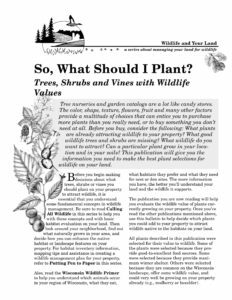 For the full “how to” with a list of herbicides, check here. Grass. Were you wanting a bigger yard anyway? Well now’s your chance. Bonus- the mowing will keep any new buckthorn seedlings from gaining traction. 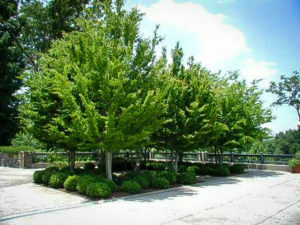 American hornbeam, small trees that can be grown close together to make a hedge. 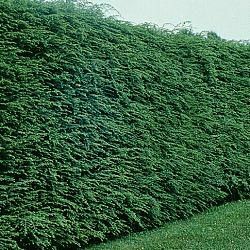 For a list of additional hedge plants, check here. 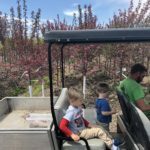 Getting Ready to Plant Some Trees? Here’s A Checklist!